UNCW produces a talented pool of undergraduate and graduate students who serve as lead instructors for most of our youth programs. Staff is selected for individual programs based on their content knowledge, specific skills, experience with a particular age range of youth, and positive attitude towards working with youth. Some of the UNCW students also serve as resident life assistants for the residential programs. All of our staff must pass a NC background check; have first aid & CPR training, and when appropriate, be certified in kayak instruction, lifeguarding, diving, or van driving; complete a training workshop where they learn best practices in communicating with youth and managing their behavior; and demonstrate their ability to teach specific program subject matter. Our student staff is supported by faculty mentors from different academic departments. These faculty may develop material for specific programs, serve as guest speakers, or participate in field activities. Dr. Kezios grew up in rural Maryland surrounded by history, music and the Chesapeake Bay. She earned her Ph.D. in biology from Princeton University. After spending the first half of her career conducting research on cell differentiation, Dr. K became concerned about the state of science education in America. This led to collaboration with the National Institutes of Health to create KinderScience, a hands-on science education program for young children. 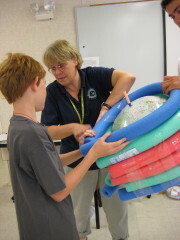 In 1999 Dr. K obtained her North Carolina teaching certification and began working at UNCW. In 2006 she was named Director of Youth Programs. Kimberly spent most of her youth in Ohio and North Carolina. 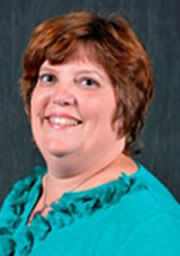 She is a UNCW alumnus with a Communication Studies degree and has been active in the UNCW Alumni Association. Her office duties include the fiscal and administrative aspects of Youth Programs. Kimberly brings with her experience in marketing, office management, budget management and youth leadership. She enjoys the adventure of two teenage boys, quiet time reading a good book and spending quality time with family. Deirdre grew up in northern Virginia, just outside D.C. After receiving her B.A. in English with an environmental studies minor from Lynchburg College, she went on to earn her M.Ed. in Higher Education Administration from UNCW. Through her work and educational pursuits, she realized a passion for marketing, graphic design, and website development, which she is excited to use in promoting UNCW's Youth Programs. Deirdre seizes every opportunity she gets to travel abroad, but enjoys reading a good book or watching a captivating TV show when she's living life state-side.